Click image to view detail! Question: Do I fit with what you want in a photographer? This is where you get a first impression of who I am. Basically, you can look at examples of my work. If my style fits, read on. I deal with clean, sharp, high resolution, digital images. These are sent to you free, via Email, Dropbox, Google Drive. There are plenty of professional printing and custom framing services for those special situations, where you choose which images, you'd prefer to print. Your comments and suggestions are most welcome! Feel free to leave a message on the Visitors Page. 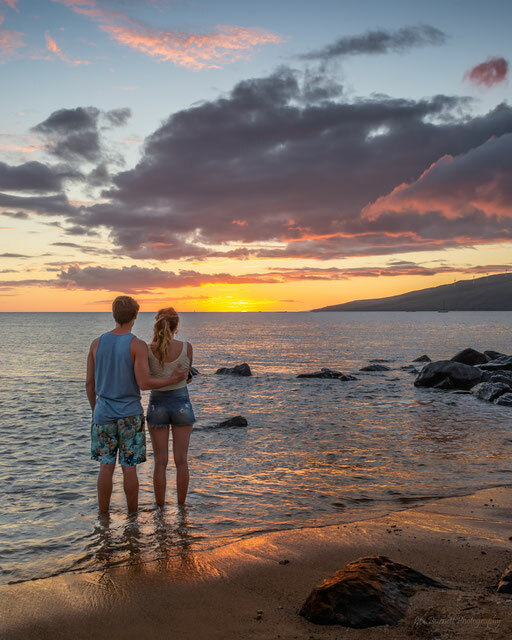 Planning a Vacation, or Honeymoon on Maui? Are you already here on your Maui Vacation? Or are you fortunate enough to call Maui your home? If you are browsing for an affordable photographer, take a moment and check out my pages. My enjoyment lies in providing relaxed portrait sessions, in comfortable, natural settings. Plan a photo-shoot with me. Contact me. Never any pressure. or repair the images of old, damaged, photographs! See: "Scanning" in the top menu section above.